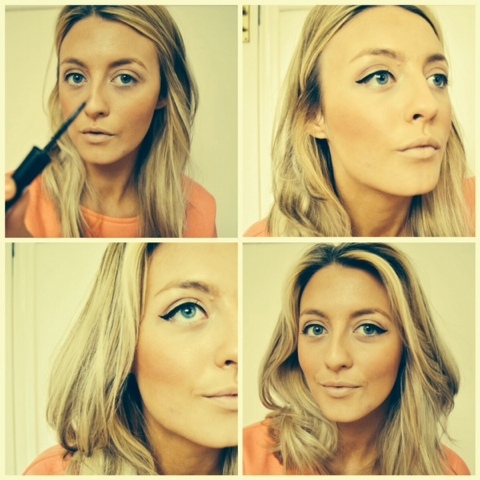 Getting ready with me, and how to do the famous winged eyeliner. I am such a fan of winged eyeliner and it used to be my signature makeup until I got brave and started playing about and seeing what worked for me. The reason I was such and still am a fan of it is because it helps my eyes look elongated as they are big and round which gives quite a 'dopey' look which isn't such a good look! So by making my eyes seem longer by adding the flick makes me feel more confident. It takes time to learn how to do it but once you get the nack for it you'll be doing it all the time. The last time I blogged about my everyday makeup look I didn't do steps how to do it so here it is broke down with the added winged eyeliner. Start off with your foundation of your choice. My is YSL Touché Éclat at the moment. 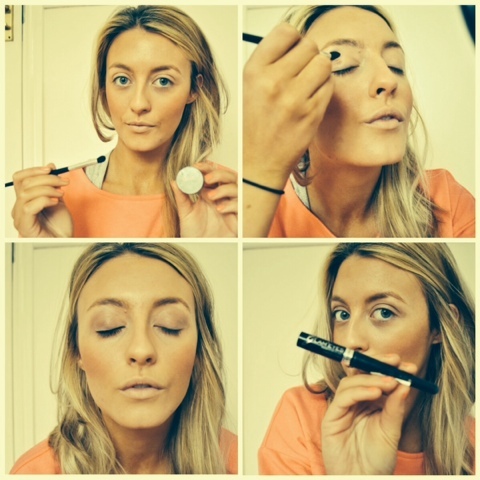 Then dab concealer under the eyes and on your eyelids! I love Benefit Erase Paste as you know, also dab any blemishes you have. 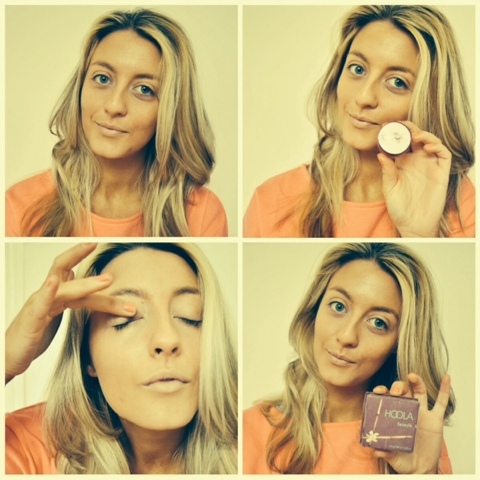 Then I go onto using Benefit Hoola bronzer under the cheekbones, sides of the forehead and down the sides of your nose. 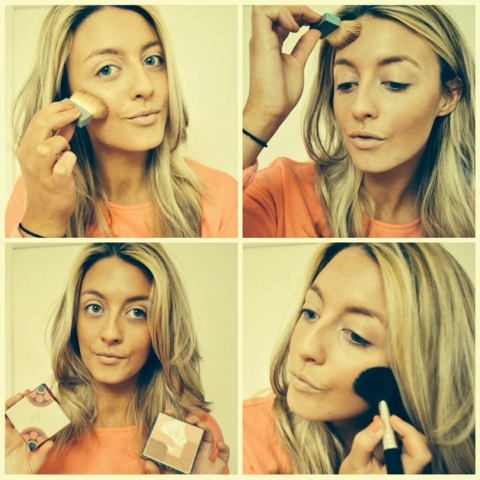 This is contouring to highlight your cheekbones and making your face seem slimmer. Then I am using No7 blusher and apply that to the apple of your cheeks to the amount you want, not too much though! Using eyeshadow gives depth to your eyes so here I am applying 2True eyeshadow in brown, applying this in the crease of your eyelid. Now using Glameyes by Rimmle which is the best liquid eyeliner ever. £7.99 ish. The reason I like it so much is because of how thin the tip is which is great for giving that flick. So start of by lining the eye first as this gives you a guide line as to where to come back to and how thick to do your flick. Then following the line of the eye make it longer, or if your like me you want it higher to make your eyes look wider, then draw your line like a Nike tick. And the. 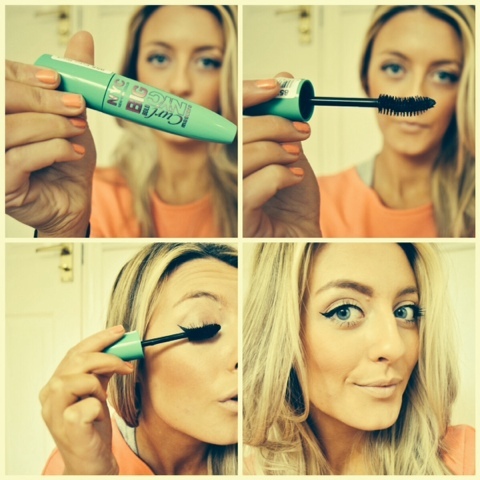 Just keep going over this to make it thicker each time you do until you reach the thickness of your line on your eye. Then if your flick isn't so thin, just dab your liner back in the pot and get off all the excess and just to to the end of the flick and draw a thin dash so it makes the flick thin but not too long. This is a new mascara I am using which I bought the other day. By NYC it was only £3.99 or something which is so cheap and I love testing new mascaras out. This one I LOVE. It's curved to help flick hose lashes up and thins the mascara so it doesn't go on dead thick and makes them look natural but longer. You must try this out if you like the sound of that. I wouldn't go for it if you like your mascara dead thick. Now apply a pencil liner under the top lid and on the bottom. Here I am using The Body Shop one which to be honest they all do the same job so yeah it works haha. I fill in my brows with buck shade in the Urban Decay Naked palette. And highlight your brow arch with Benefit High Beam. 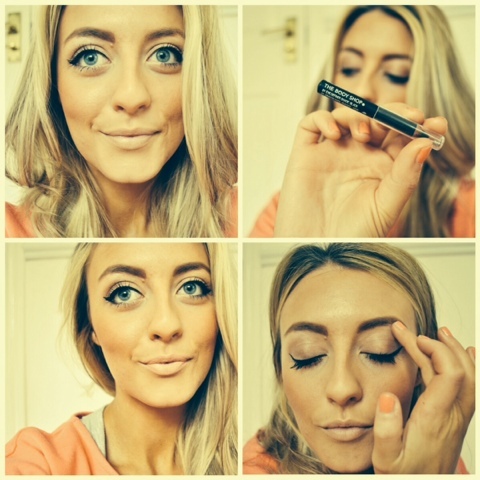 Great post and love the Eyeliner how-to!